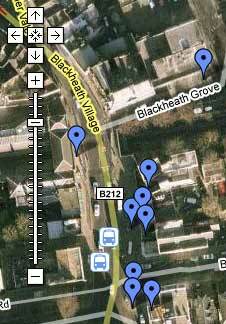 Here’s a GPS trace of the Blackheath Funfair fencing. It’s the first time I can remember them fencing the funfair off, and several people have tweeted asking whether this is legal. I have no idea, but I suspect that the police would view it as not worth the bother, even if it isn’t… Much like the council’s attitude towards Foxtons and their illegal lighting. Anyway, at least you’ve got a record of the first encroachment. 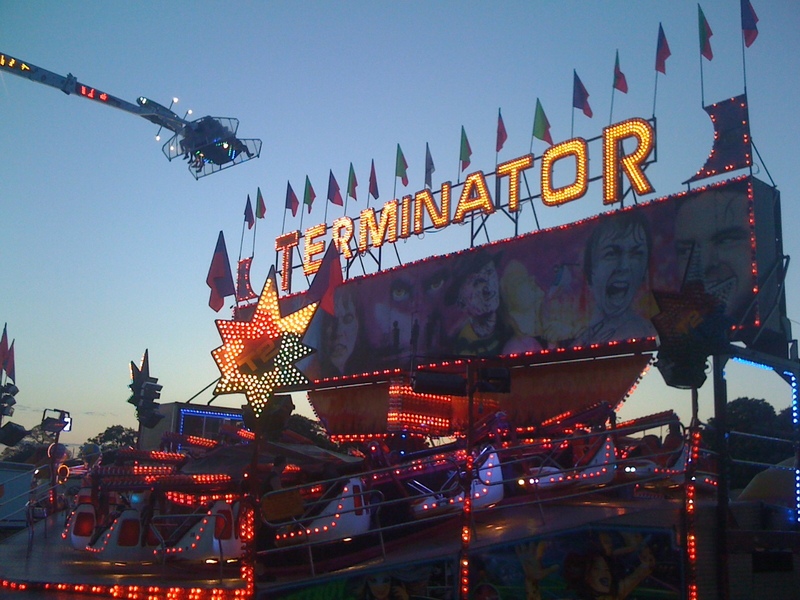 So that when the funfair decides to declare the Independent People’s Republic of Fairgroundia, you can say that you remember where it began. GPS trail made using the Trails app. More photos coming soon here. 12 noon until 10pm Friday-Tuesday inclusive. UPDATE: About a zillion people are googling this blog asking “where is blackheath fun fair?”, so here’s a map. Not sure about the circus location though.. If it’s wrong, let me know in the comments. I’ll try to make a more accurate version later. Come by train (parking is terrible in Blackheath), turn left out of the station and walk up the hill. When you get to the heath, you’ll see the fair. 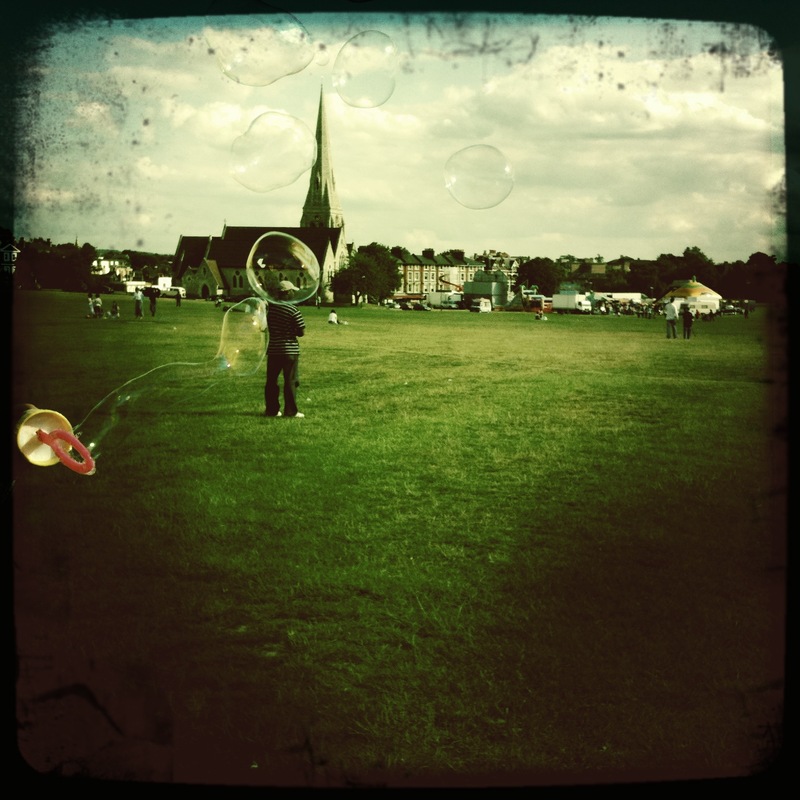 The funfair has been back on the heath all weekend. Lots of people coming to the blog, looking for the opening times. Today (Monday) it is open from 12noon until 10pm. Spooky photo by flickr user superba_ (would have posted this even spookier one, but it’s copyrighted unfortunately). Here are some photos from the first day of the Bike & Kite festival taken by someone with an eye for a photo, rather than me.